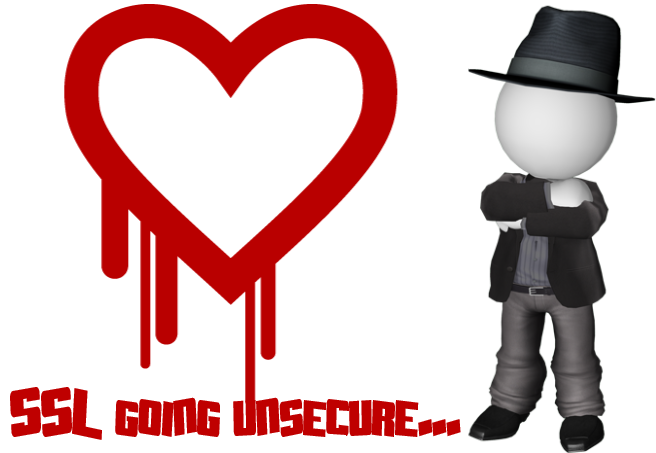 Info: OpenSSL Heartbleed (CVE-2014-0160) issue doesn’t have an effect for Citrix Netscaler but..
all people talking about the OpenSSL Hearbeat/Heartbleed issue and how bad it is… Remembers me a little bit like the Sasser/MSBlast wave a couple of years ago. At all, if you’re currently using Citrix Netscaler to protect your environment you should get a look at CTX140605. In general the Citrix Netscaler is not affected by the Heartbleed issue but please note: This do not count for the internal Website running behind the Netscaler on your server by design, for example if you use Apache based Webserver, so in this case you should verify this and upgrade the Webserver. The Netscaler itself is safe at the moment, also the external access to websites hosted in your fabric should be save if the external connection run thru the Netscaler; primary risk are internal sites in your company where the Netscaler can/would be bypassed for internal access/users and if the affected OpenSSL Version 1.01 is used. So the “but…” in the headline points to the fact that mostly attacks are coming from internal sources/users and here the Netscaler will not help you depending on your network setup if the OpenSSL Version 1.01 is used. P.S. : If you want to check your site visit http://filippo.io/Heartbleed/, if your site is “unsercure” you should to the following steps asap. 2) Change all used SSL certificates to new ones. This entry was posted on Thursday, April 10th, 2014 at 13:53 and is filed under Netscaler / Access Gateway. You can follow any responses to this entry through the RSS 2.0 feed. You can skip to the end and leave a response. Pinging is currently not allowed.